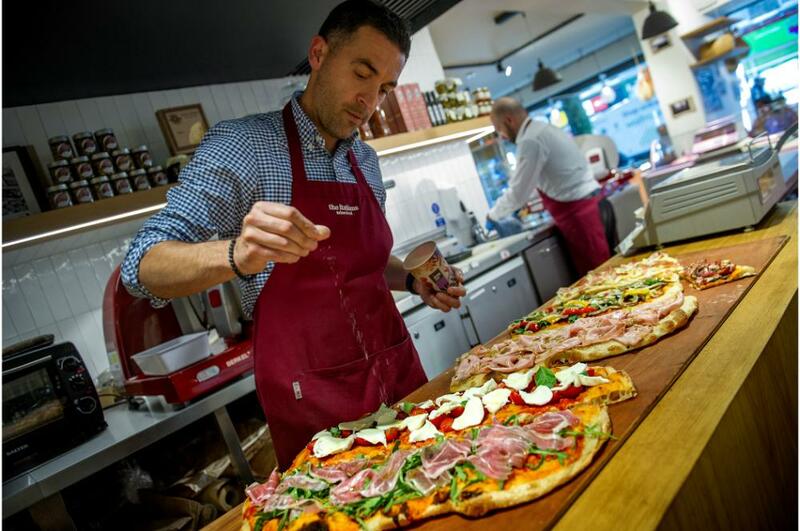 The Italians on Chiswick High Road brings an authentic slice of Italy to your doorstep. 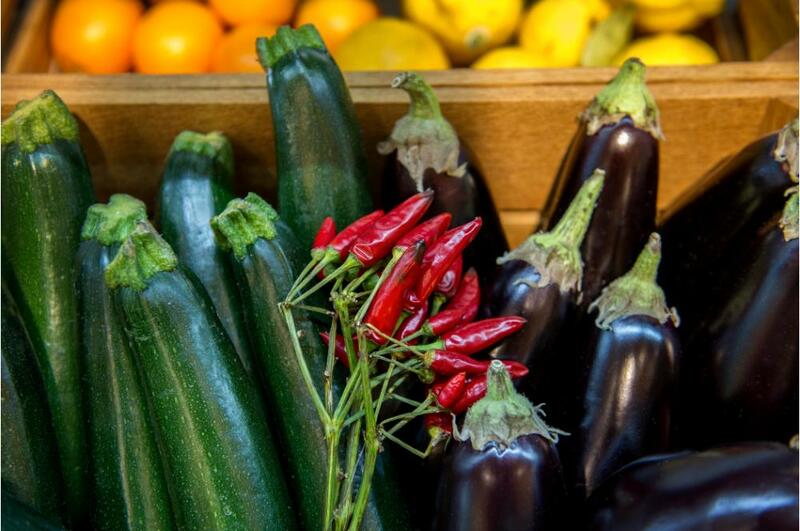 Fresh produce is delivered direct from suppliers in the top food and wine producing regions so that Massimo Lopez and his staff can create mouth-watering treats and advise on the best produce for you to enjoy at home. Left it too late to book a holiday to Italy but not sure how you can survive the summer without a fix of that glorious Italian cuisine? Well, now you can enjoy melt-in-the-mouth mozarella, lip-smacking lasagne, breath-taking Barolo and perfect proscuitto without leaving Chiswick. 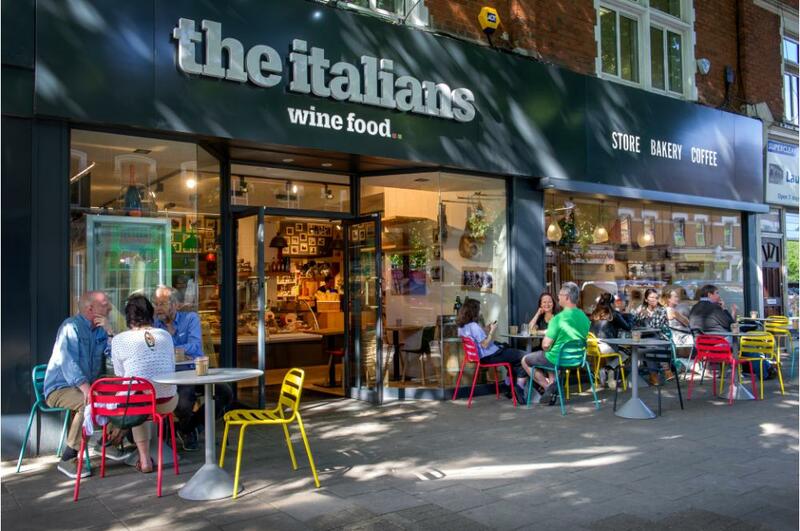 The Italians is a deli and cafe emporium occupying a vast, airy space at the west end of the High Road. Brightly coloured chairs and tables, set up for al fresco dining, let you know you’ve arrived. Manager Massimo Lopez hails from Calabria and has been running the store since the beginning of the year. He explains the ethos behind this enterprise which sells the very best food and drink his homeland has to offer. ‘On the walls of the shop customers will see black and white photographs of all our suppliers. 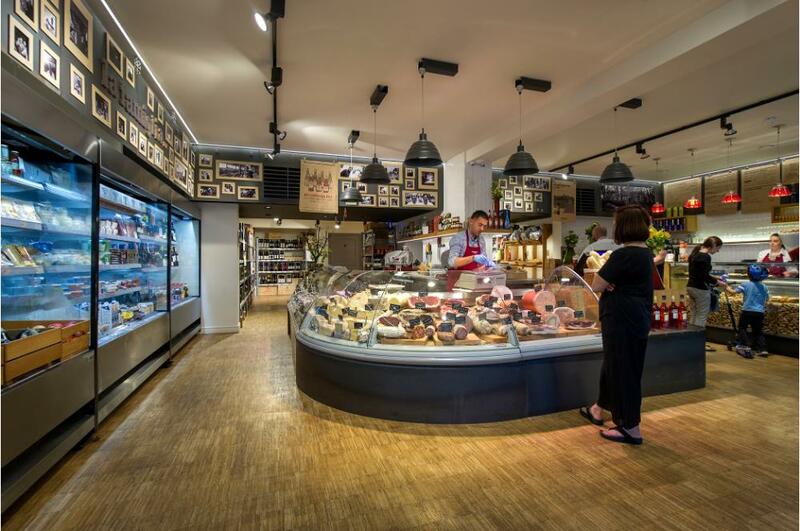 They range from cheese makers, wine growers, olive oil producers, cured meat suppliers. They are all boutique producers who create the very best food and drink. ‘Once a month we invite one of our suppliers to Chiswick for a weekend to meet us and the customers. In July our olive oil supplier will be visiting and we are encouraging our customers to check out our Facebook page to get all the details. You will also see details there of our late-night Friday events. ‘Everything we sell here comes from Italy, from the pasta, cakes and wine to the fresh lemons and salad ingredients. We make all our own bread and pizza dough from scratch every day – we don’t simply heat up ready-made ingredients which some shops do. So if you buy a sandwich from us, it has been hand-made from beginning to end. ‘My background is in the fine dining and hospitality trade. I first came to live and work in Chiswick after leaving Italy about 20 years ago. After eight years in the area I went to Australia for nine years. I am now back living here and using all my catering knowledge to help make this business a success. ‘We already have a loyal customer base and one third of them are local Italians which is proof we are stocking the right products. • S.Ilario Prosciutto, thinly sliced. We have the hams hanging in the store with the authentic ‘di Parma’ stamp on them. • Pecorino Riserva del Fondatore Il Fiorino. We have so many delicious cheeses it’s hard to choose but this is a favourite of mine. • A 250ml bottle of Olio Con Tartufo. This truffle oil is £24.50 but an invaluable treat. • A bottle of Barolo. 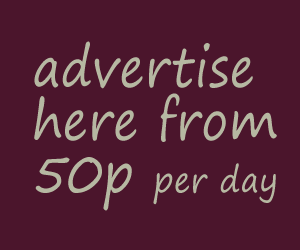 We have a wide range of Barolos with prices going up to £399 a bottle. • Balsamic vinegar and I recommend Aceto Balsamico Tradizionale di Modena.